TOILET REPAIR AND INSTALLATION - Benton's Plumbing Company, Inc. If you have a problematic toilet that constantly looks to clog, run (flow), or not flush properly or just want any type of toilet repair or replacement our specialists can solve this problem quickly and completely . You know the story – water starts flowing onto the floor as panic sets in… Most likely there is an obstacle in the trap or farther down the drainpipe if your toilet clogs on a regular basis. It also might be a symptom of a bigger issue further down the sewer line. 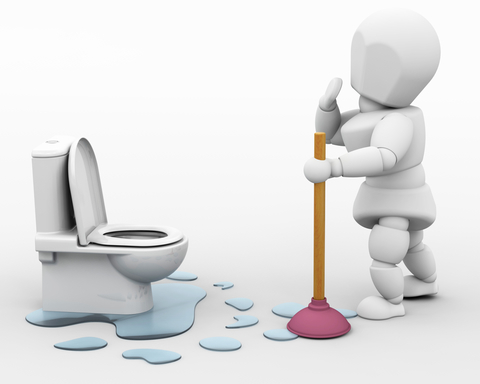 If you hear prolonged water running following a flush your toilet is likely leaking. Leaks can waste hundreds of gallons of water. The problem could be flush valve assembly, worn out flapper or a corroded overflow. If your toilet was installed before 1994 is is likely costing you a lot of wasted water and extra money. We can help replace your toilet(s) with newer models that flush better and save water.